Velenosi Roggio del Filare Rosso Piceno Superiore . As the evening began, the attendees were welcomed with a fresh sparkling wine from Franciacorta in northern Italy. It was a Saten - in other words, made from all white grapes and created in the traditional Champagne method. 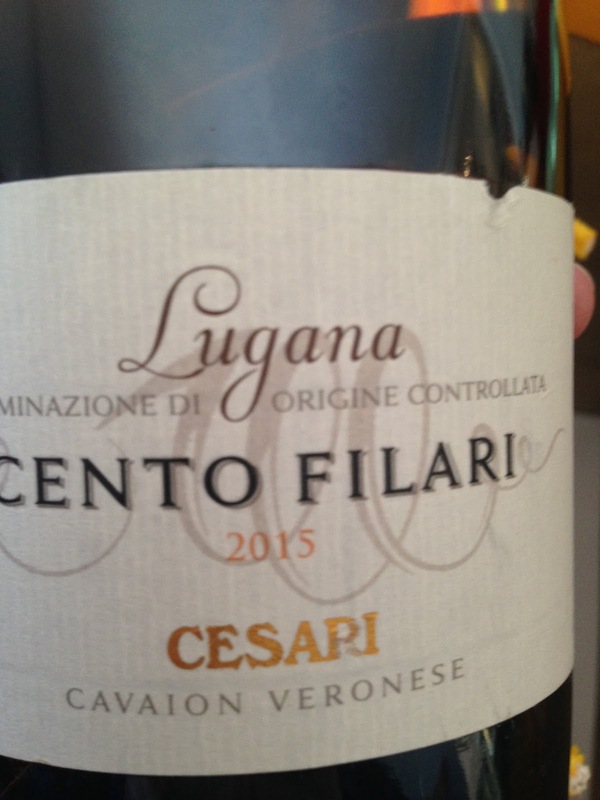 We moved on to white wine, and here attendees had the chance to try something new to all of them - Cesare Cento Filari 2015 Lugana. It comes from Italy's northern region near Verona from a little known grape called Turbiana. 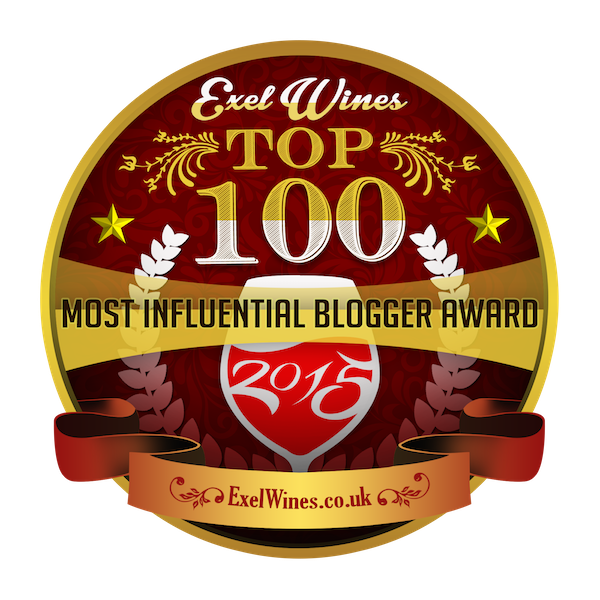 With notes of white stone fruit countered by a touch of bitter almond - it's a unique and delicious medium-bodied white. This was enjoyed with fried calamari and zucchini. Moving on to the main course, the class was wowed by the Velenosi Roggio del Filare Rosso Piceno Superiore 2010. 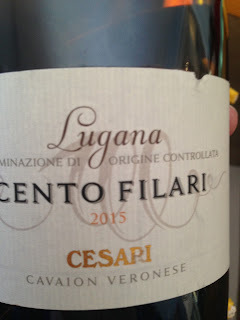 Hailing from Italy's Marche region, which lies in the east bordered by the Adriatic Sea, this wine had already developed nicely but could age further. 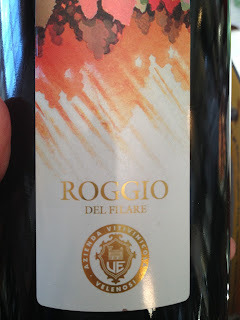 A blend of Sangiovese and Montepulciano grapes, the wine was intensely colored, concentrated with red and black fruits. The lush fruit was balanced by good acidity and refined tannins. I discussed the idea of a wine's length with the class, in other words how long the flavor persisted after swallowing, and this was a good example of a wine with great length. Served with La Pergola's succulent short ribs, the wine was a stunning match which impressed everyone at the table. It's available in New Jersey at Laurenti Wines. 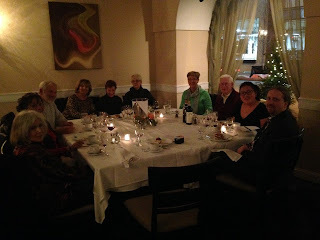 We ended the lovely evening with something special - the Velenosi Querciantica Visciole. 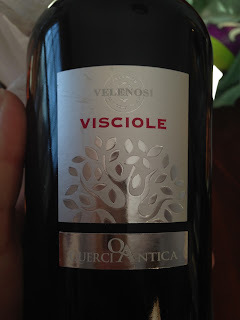 It has juice of the anicient Marche Visciole cherry; therefore, it is not called wine but an aromatized drink. 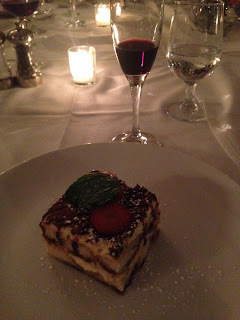 The cherry and cinammon notes made it an absolutely perfect match to the cinammon-dusted Tiramisu that was served for dessert. 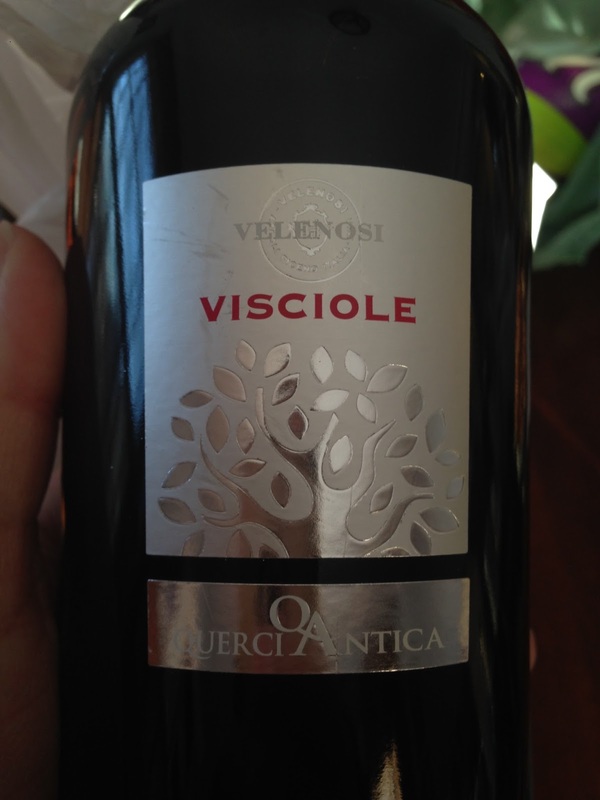 The Velenosi Querciantica Visciol is available in New Jersey at Jerry's Gourmet in Englewood. For news on future wine dinners, contact the South Orange-Maplewood Adult School.